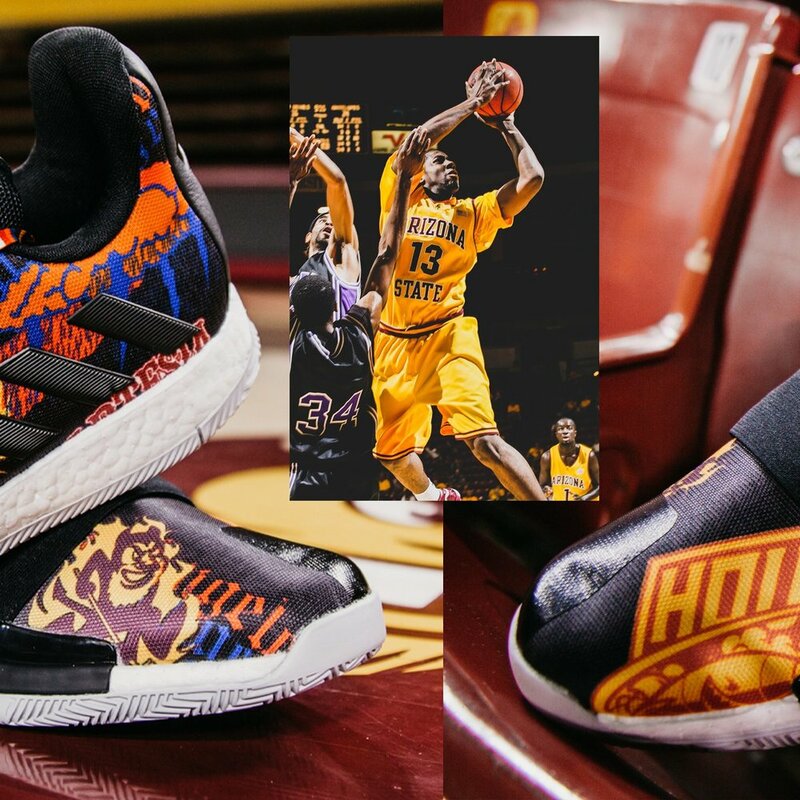 Arizona State basketball will be hitting the hardwood in the latest colorway of James Harden’s 3rd signature shoe with adidas. 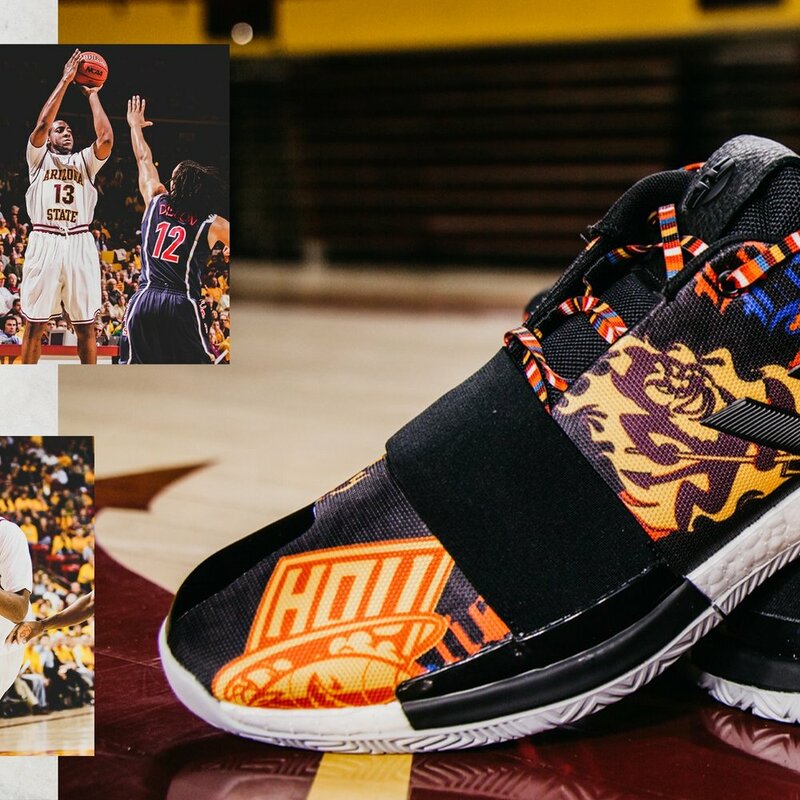 These kicks pays homage to all of the teams he has been on with a heavy dose from his time with the Sun Devils. The shoe starts off with a black mesh base and transition into colorful graphics of Artesia High School, Arizona State, the Oklahoma City Thunder, and the Houston Rockets. The Sun Devils will rock them tonight and the shoe will be released Feb. 1st at adidas.com.